The taxis join others in the Potomac Riverboat Company fleet, which services National Harbor, Alexandria, Georgetown and The Wharf Transit Pier. 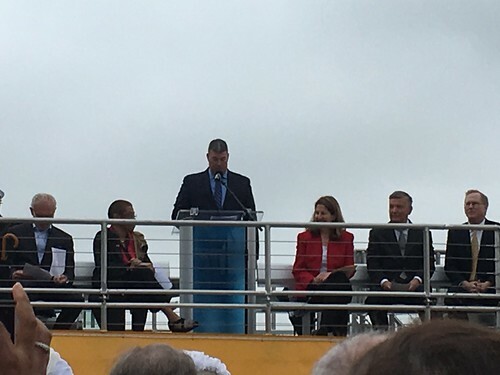 Supervisor Principi, long a supporter of connecting the National Capital Region via its waterways, sees Fast Ferry service as offering numerous benefits to those living in Prince William County, which would have several ports along its Route 1 corridor. In addition to lessening gridlock, the service could increase tourism to the county, attract large employers and enhance law enforcement and homeland security capabilities.